Health. This could be as simple as resolving to get in more water and remember to take your multivitamin each day, to hitting the gym hard and getting down to a healthy, goal weight. Regardless of whether your health goals are weight motivated or wellness motivated, becoming a healthier YOU in 2017 is always a great addition to your list of plans for the coming year. Finances. Debt, savings, and many other financial burdens plague most of us in today’s society. For many, these burdens make their way onto our list of resolutions. Even if you don’t have any financial burdens, a financial resolution in a new year is a great way to save up for a much-desired vacation or traveling abroad, or even to purchase something you’ve been saving for long-term. Financial goals are worthy of being on your list! Relationships. 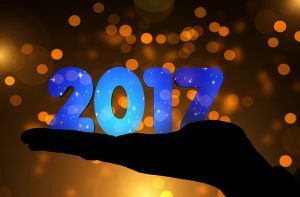 Even if you don’t have someone to kiss as you ring the New Year in, focusing on relationships in 2017 is an important factor on your list of goals. While romance is great, relationships with your friends, coworkers, children, siblings, parents, etc. are all important, and since these relationships often serve as your support system, you should give them high priority. Aim to spend more quality time with the ones you care about this coming year and you’ll be laying a foundation for success in whatever else you go for. Of course, we know that finding new, or better, employment will likely be on your list as well if you are unemployed or desire more in a career. While we believe all of the resolution ideas above will help you feel accomplished in the coming season, we understand that finding a job you both enjoy and are good at is very important as well. PHR Staffing Solutions can step in and help you find positions that match your qualifications and your desires, and since we provide top-of-the-line applicants to employers throughout the greater Polk County area, we likely have the perfect spot for you! Call us for more information about our current openings, or apply here on our site. Happy New Year from PHR!